Does the Future of Game Streaming Truly Start Now With Google Stadia? The concept of streaming games to home platforms is not new. Off the top of my head, Sega was trying to do it in the mid-90s with the Sega Channel, but I know there were efforts even before then. 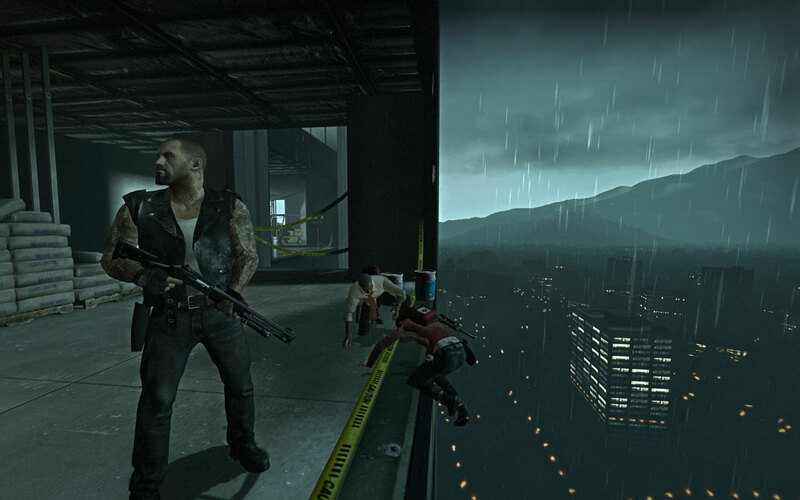 More recently, services like OnLive and PlayStation Now have been trying their hand at the approach. At the keynote for GDC 2019, Google unveiled Google Stadia, their new game streaming platform. In short, it will allow players to game from any instance of Google Chrome or Chrome OS, running games with modern graphics at resolutions up to 4K, at frame rates up to 60 fps, with almost whatever controller you have. It’s also got deep hooks with YouTube streaming, allowing gamers to stream and interact with viewers in all new ways. All of this will be playable for those in the US, Canada, UK, and Europe later in 2019. I have some serious reservations about what Google’s promising here. However, my concerns about controller input delay, game library, broadband access, and data caps might be a moot point in the long run. What Google just showed us appears to be the future of gaming. 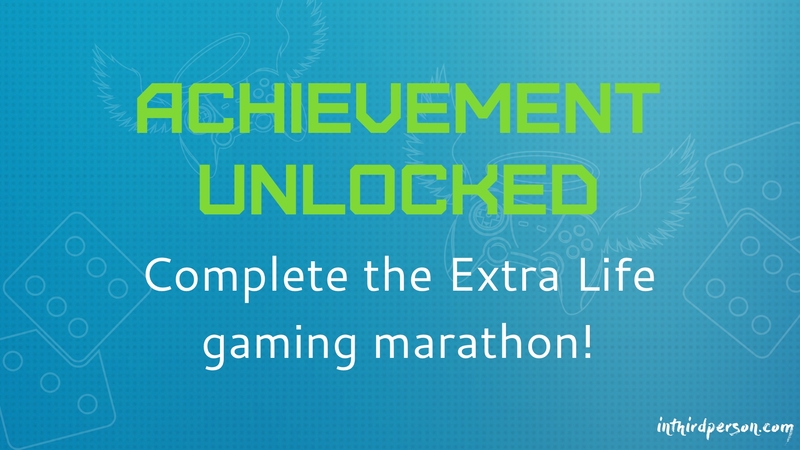 One More Sleep Until Our Extra Life Gaming Marathon Begins! Watch live video from inthirdperson on www.twitch.tvIt’s almost time! Tune in tomorrow at 8am EST for our In Third Person 24-hour gaming marathon in support of Extra Life! The whole gang will be here, including Jason from Downstab, Mat from Biff Bam Pop, Kris & Rachel from Double Jump, and more! We’re playing to help raise funds for the Children’s Miracle Network of Hospitals, who provide 32 million treatments a year across 170 hospitals in the US and Canada. If you have anything to spare, please donate to the Children’s Miracle Network of Hospitals through the link below! Truth be told, you should be listening to Splitkick.com‘s Fall Damage podcast every week. Scratch that. You should be listening to both of Splitkick’s podcasts – Fall Damage and Rocket Jump – every week. And no, I’m not saying this because they’re my video game writing BFFs. Granted, there may be one or two of you that will say, “But Jett, we haven’t listened to the Fall Damage podcast because you’re not on it.” In that case, I’ve got good news for you! The Fall Damage team was nice enough to invite me on as a guest on Level 127 of their podcast. Click here to listen to Level 127! Click here to subscribe to Fall Damage on iTunes! 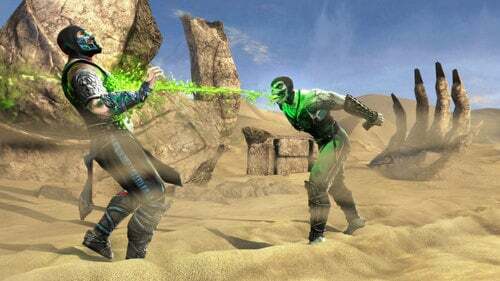 Yesterday, the highly-anticipated reboot of the Mortal Kombat franchise hit stores. From what I’ve been seeing on Metacritic, it’s being received really well from the gaming press. Up until I played the demo a while back, I had plans to buy this on day one. However, here I am blogging from the outside, looking in. I didn’t buy it on day one, nor do I feel the urge to have this in my collection immediately. What happened? With Christmas rolling in quickly, I’m sure that the Apple iPad will continue to fly off the shelves as the hottest gadget on the market. Having owned one since launch, I can tell you that it’s a ‘nice to have’ device. It’s nice to have as a laptop or iPhone alternative, but if you already have both of those devices, this in-between gadget may not be for you. Let’s narrow the scope of this discussion though, since this isn’t the place to talk about the device’s usefulness as a word processor or e-reader. How well has the iPad performed as a gaming device so far? Pick Up Post: Believe The Hype? Over the last few months, I haven’t done too much in the way of iPod Touch/iPhone gaming. Most of my gaming time of late has been dedicated to my PlayStation 3 when I’ve have time to spare. However, my car recently broke down, which meant I’ve spent a lot more time on public transportation over the last few days. It’s been a great opportunity to catch up on Castlevania Puzzle: Encore of the Night, which is worth grabbing at regular price, but is on sale right now for a limited time.